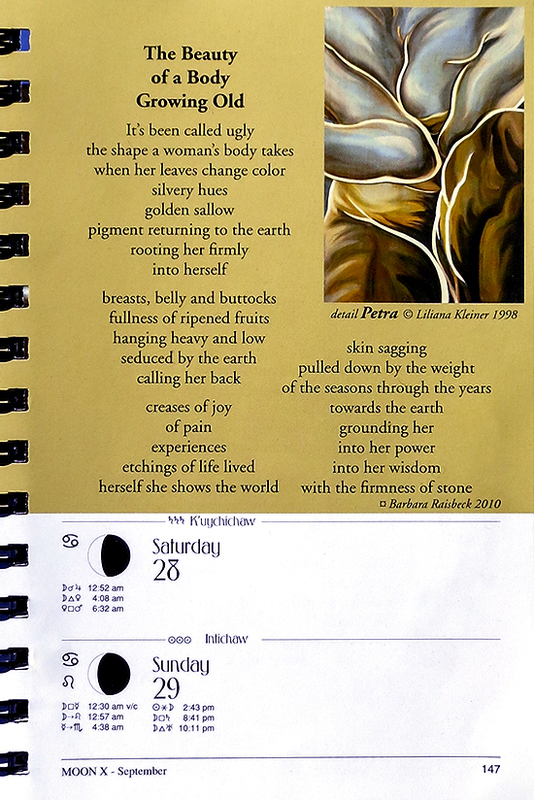 My piece published in the 2013 We'Moon journal is the poem this week. Unfortunately, their excerpted version eliminates the gritty essence of it, but I've included it here. of a body growing old. Posted in Uncategorized on February 4, 2014 by barbara.